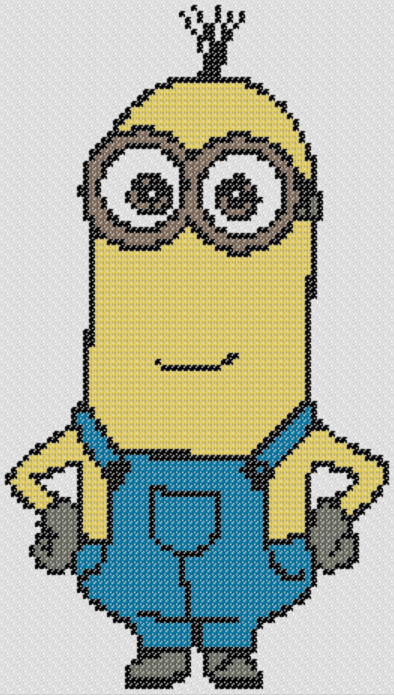 This is Kevin, the brave leader of the trio in The Minions who loves playing golf and cricket. 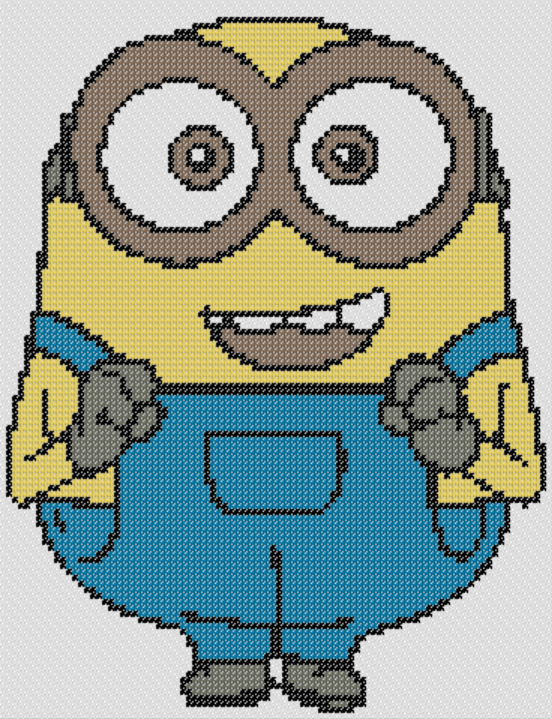 This adorable looking banana-colored ball of a character would be a great addition to your embroidery stitches project. Get this cross stitch work printed, and do share a photo of it with us when you’re done. This is Bob, one of the three main Minions characters you will find in the movie version. 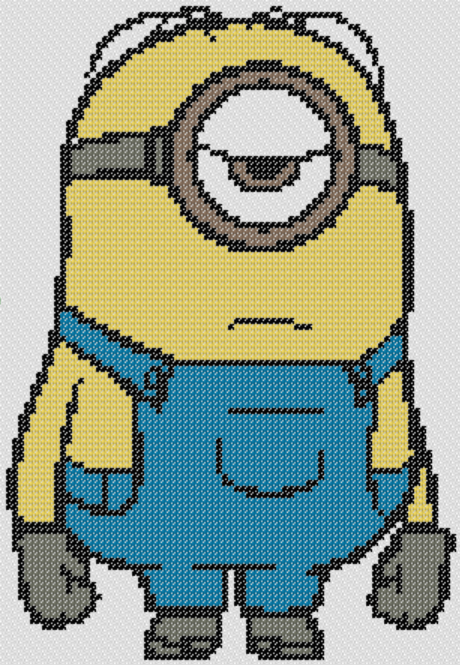 This adorable looking banana-colored ball of a character would be a great addition to your embroidery stitches project. Get this cross stitch work printed, and do share a photo of it with us when you’re done.